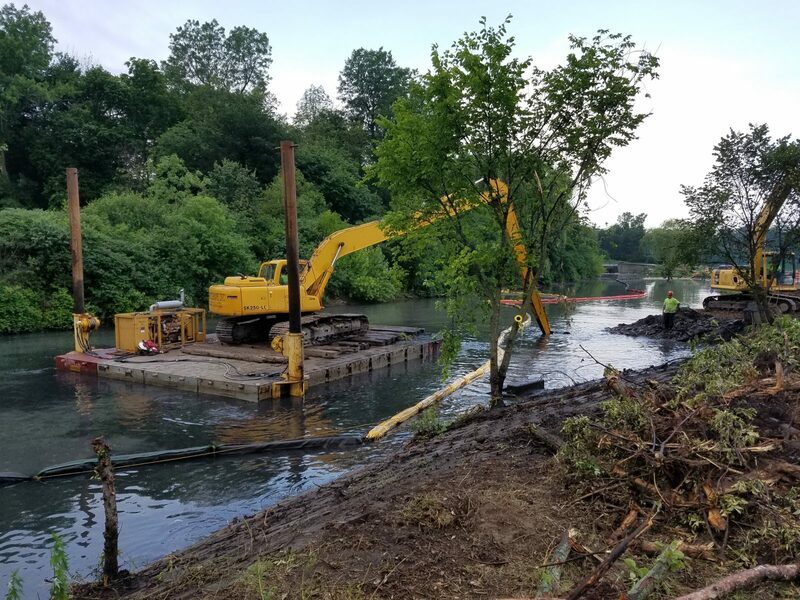 The Scajaquada Creek Shoreline Buffer and Wetland Restoration project involves the removal of historic contaminated sediment from the creek, the creation of a wetland area and an enhanced shoreline buffer with native plantings. 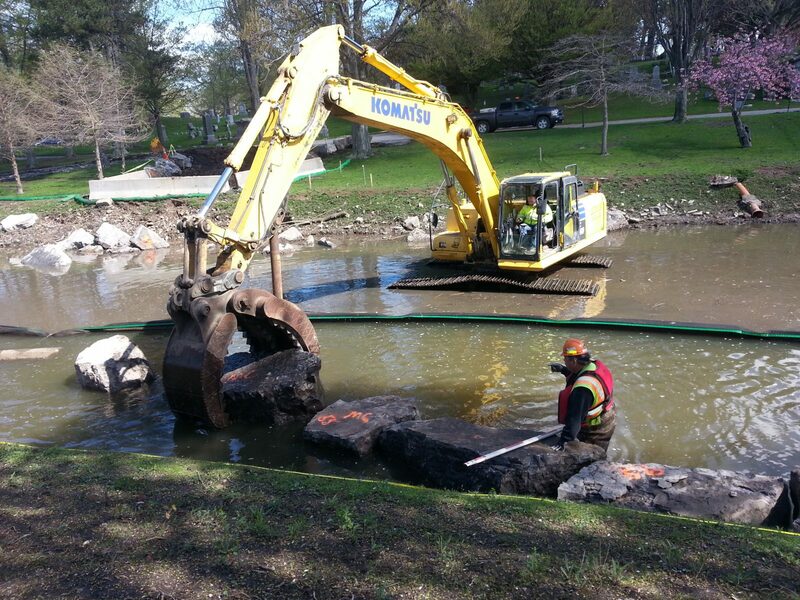 This project extends from Forest Lawn, through Delaware Park, to the History Museum and is scheduled to be completed by the end of the year. Mark Cerrone, Inc. is the construction contractor for this $3,231,838.44 project that invovled collaboration with the Buffalo Sewer Authority, the U.S. Army Corps of Engineers, Buffalo Niagara Waterkeeper, Forest Lawn Heritage Foundation, Buffalo Olmsted Parks Conservancy and received funding by the New York State Environmental Facilities Corporation.